PUMA and its central ego-centric nuclear cell the creatures develop their ego-centric “self”. 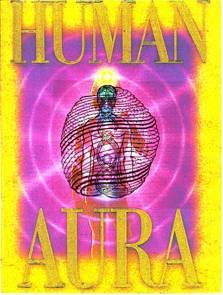 through its spirit guided developing individualized mind of solar “higher”aspect of self. opposite but complementary energy co-creative polarities. body of the PUMA based human male and female. Majeston is in time and space behind the permanent PUMA center in the “secret chamber “ of the individual’s “higher” and “lower” aspects of the evolutionary PUMA heart central nexus. presented below in the Picture 5, and central coil itself of the human body in 6. 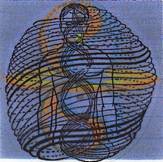 The spinal cord/coil is called in India the Brahmadanda, the stick of Brahma. higher planes, which the development of that fire confers. spine is that it becomes intensely impregnated with the personality of the man. the opposite but complementary energy co-creative polarities. successfully ascend into the morontial realms of the eternal life. 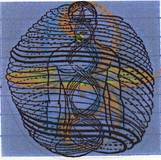 its energy lines, i. e. materializes the genetic determinants of the evolving life forms. evolves its creatures outer shell (body). The PUMA energetics will be discussed in more details in the next series of Papers on www.LighttoParadise.com . as the highest evolutionary accomplishment of the physical planetary life.